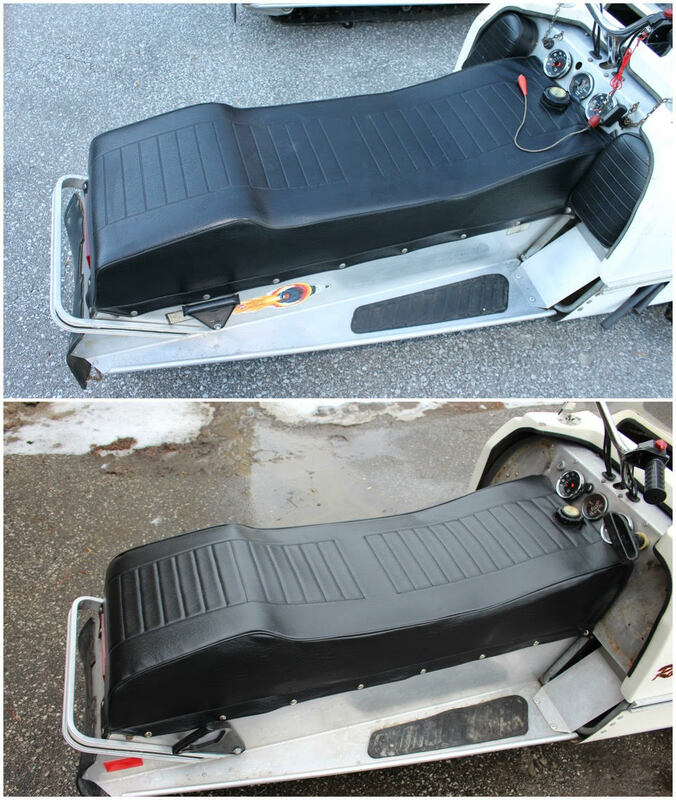 I took my original seat to an upholsterer here in Ontario and this was the result. With the exception that the pattern is sewn it is spot on. Looks good. I think Richard has found a source for heat pleating. All the seats I had redone were sewn as well. I would be interested in heat pleated material. I would take a seat back and get another made. As a comparison. If interested let me know. I will give you his contact information. I'm just passing it along. I gave him my original seat, the one in the top picture, so he could copy it for my other Wild One. They did keep the pattern and are more than willing to make more. 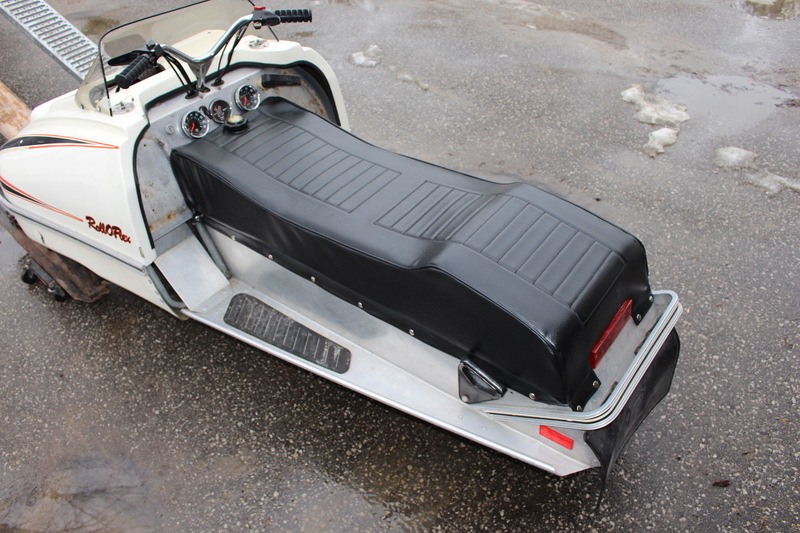 He is reproducing the cover for my 76 Cat Sno Pro right now and just finished recovering a seat for my 79 ski-doo SS. He is a talented guy. This is his living.